"Work hard. Do good. Be incredible!” That’s the advice Teresa Rae Wood gives the listeners of her popular local radio show, Modern Pioneers, and she has taken it to heart in her own life. She fled a bad marriage, escaping to Midden, Minnesota (pop. 408), where she fell in love with a carpenter who became a loving stepfather to her children, Claire and Joshua. Now Claire is away at college, Joshua is laboring through his senior year of high school, and Teresa and Bruce are working to make ends meet. Despite their struggles, their love for each other binds them as a family. Then they receive the devastating news that Teresa has cancer and at thirty-eight may have less than one year to live. Those she will leave behind face something previously unimaginable -- a future without her. 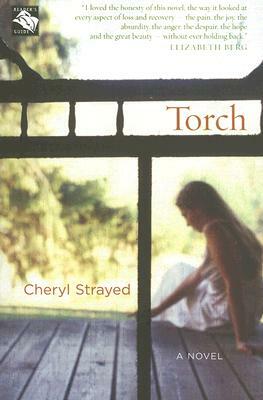 In Torch, the award-winning writer Cheryl Strayed creates from one family's shattering experience a novel infused with tenderness, compassion, and beauty.